Macquarie School Dictionary 3E (Hardback) with Bonus Compact Speller, Australia's National Dictionary, the third edition of the best-selling Macquarie School Dictionary provides students with a fully updated, authoritative and user-friendly guide to language in both its traditional and contemporary usage. 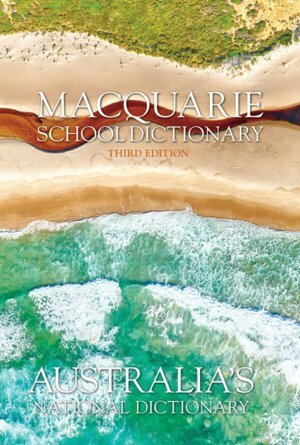 Entries have been especially selected from the Macquarie Dictionary database to meet the needs of students in the secondary school years. Get your BONUS Macquarie Compact Speller with every Macquarie School Dictionary!